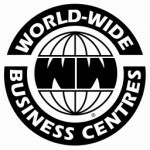 World-Wide Business Centres boasts an extremely high level of client retention. Five of our clients have been with us more than 30 years. Fifteen clients over 20. And 55 clients have been with WWBC for more than 10 years. Hear what some of them have to say about their experience at Word-Wide Business Centres New York City office.